Who Done It? 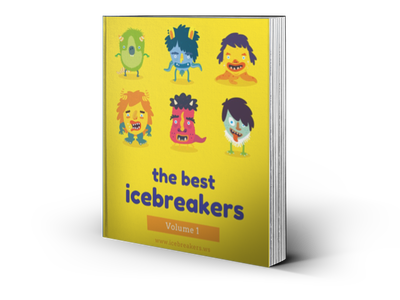 is an icebreaker that reveals interesting (and sometimes incredible!) things people have done. It’s a simple guessing game that is straightforward to play. This game is a get-to-know-you style icebreaker in which players try to guess which person corresponds to each item written on notecards. The recommended group size is a medium sized group of about eight to sixteen people, although the game can be adapted to accommodate other sized groups. Playing this icebreaker indoors is most ideal. Materials required are: several notecards and pens. Who Done It? is playable by all ages, including college students and adults in corporate settings. I once drank a gallon of milk. I lived in seven different states. Try to instruct people to write a fact that most people don’t already know – the sillier (or more unbelievable) the better. Collect all the cards (separate them into two piles if two teams are playing). Shuffle the cards and then pass them back out. Each person (or team) takes turns reading aloud their card and then the reader must guess whose fact he or she read. After he or she guesses, the guessed person simply says “yes” or “no”. If the person guesses correctly, the guessed person can briefly explain what they wrote (if desired). The guessing continues until all cards are exhausted. Everyone reveals who wrote which card at the end. Get-to-know-you Archives - Page 4 of 4 - Icebreakers,Ideas, Games, Activities! Talking Games Archives - Icebreakers,Ideas, Games, Activities!